The Cotswolds is an area west of Oxford in the UK. 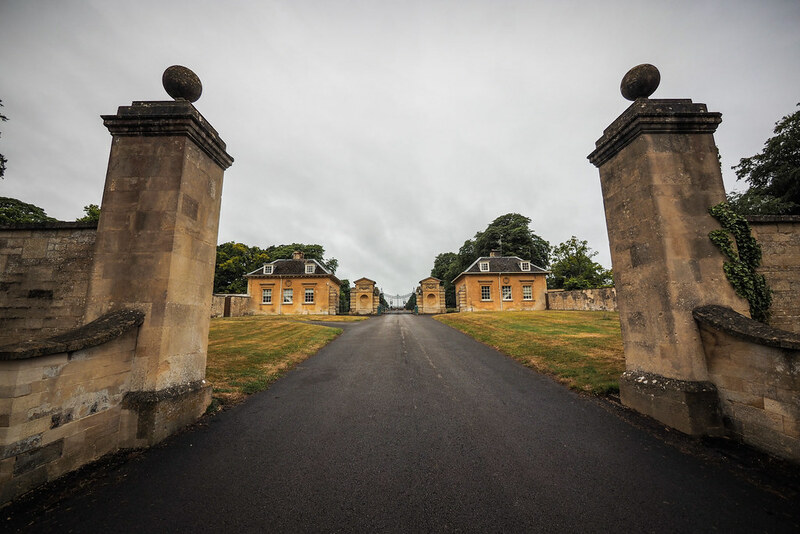 Essentially a living museum, the entire area is quintessential England, with stone-walled villages and quiet woods. 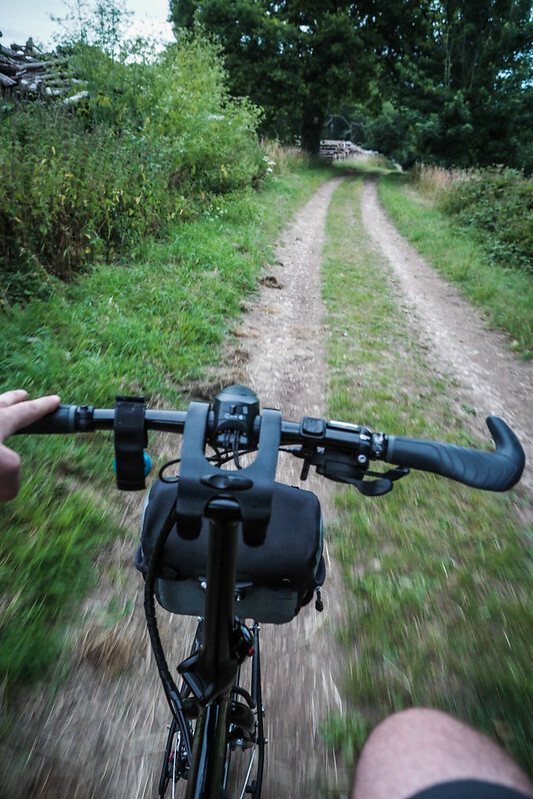 On a work trip to the UK recently, I found a 24-hour slot to explore some of the area by bike. Right now I’m at the University of Oxford in England, attending the Oxford Internet Institute’s Summer Doctoral Program. This is a two-week long intensive course for late-stage PhD students, and it was a great honor to be selected to be one of the attendees. 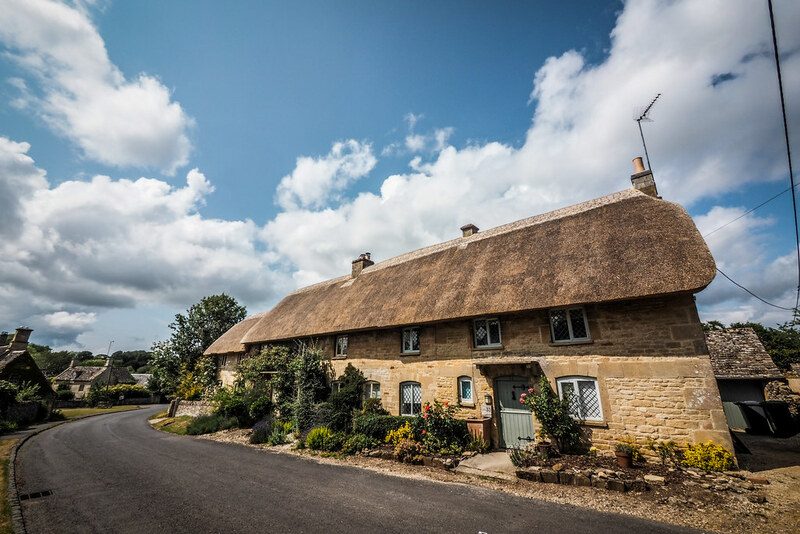 One of the exciting by-products of taking part in this program, however, is the chance to use the one day off during the program to explore a little bit of English countryside by bike. 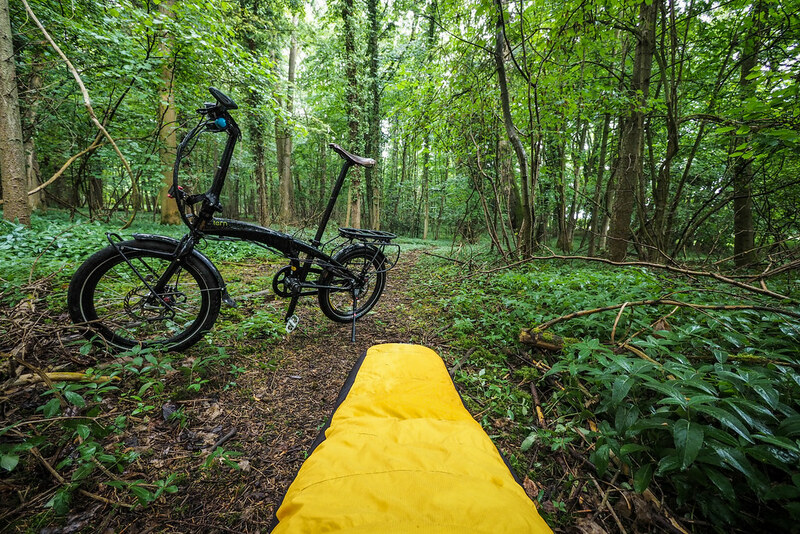 To this end, I took my folding bike (the Tern Verge S27h) with me to England, so I’d be ready for some adventure. My return flights from Sapporo City in northern Japan to London were ticketed by Austrian Airways. Amazingly I was allowed two pieces of check-in luggage on all flights, and bicycles (classed as ‘sports equipment’) are taken for no extra charge so long as they fit within the weight allowance for each piece of luggage (23kg each), and are registered by phone at least 24 hours before the flight. 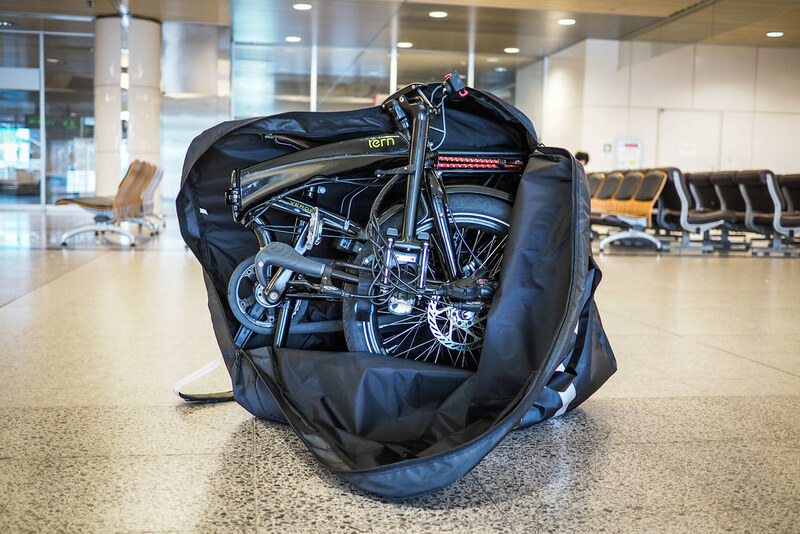 For this trip I decided to copy another seasoned traveler Virginia’s technique for flying with a folding bike: encase the bike in Tern’s Stow Bag. The bike arrived in one piece (albeit with slightly bent racks; easily bent back into place), and I promptly got to Oxford by bus, and got stuck into the 9 to 5 daily summer program schedule. My chance for a 24-hour getaway came last Saturday. We had a social event in the afternoon and a picnic in the evening, and I said my farewells at around 7:15pm, and slipped out of the city on my already-packed bike. The plan was to get out of Oxford City towards the direction of Woodstock, and keep riding into the Cotswolds Area of Outstanding Natural Beauty (AONB for short) until dark, whereby I would find myself a suitable tree to sleep under. 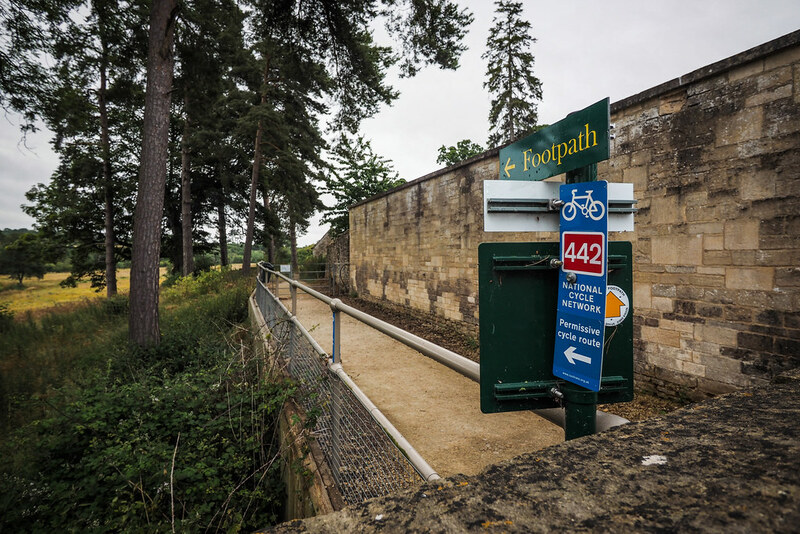 The ultimate aim would be to roughly follow a recommended cycle route, taking in some of the sights in the area. As I was making my way out of the northern end of the city, I stopped to snap a pic of my setup for this brief escape. 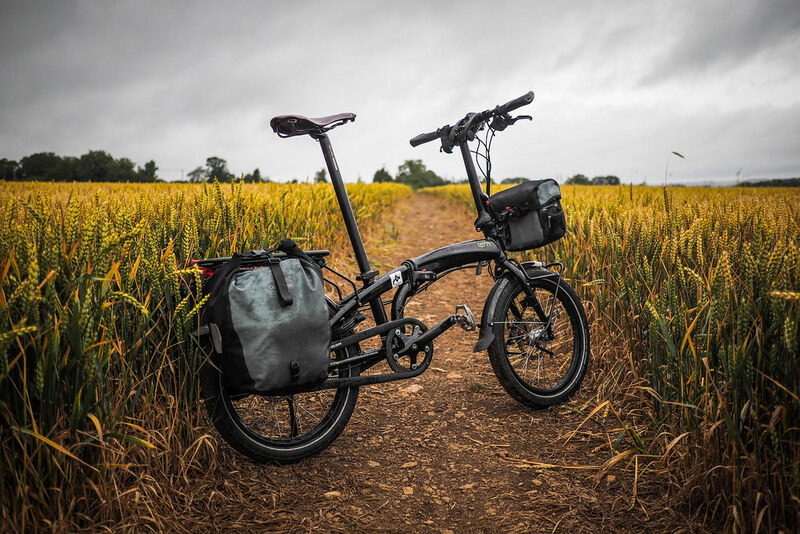 The solid Tern Verge S27h folding bike, with Ortlieb bags, Shimano Alfine 11-speed internal gear hub, and Selle Anatomica saddle. 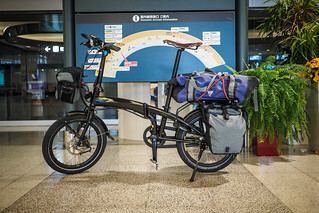 The handlebar bag is attached to the head tube using Tern’s Luggage Truss. In the panniers are a change of clothes, sleeping bag and sleeping mat. Since this was only going to be an overnight trip, I figured I wouldn’t need my tent. 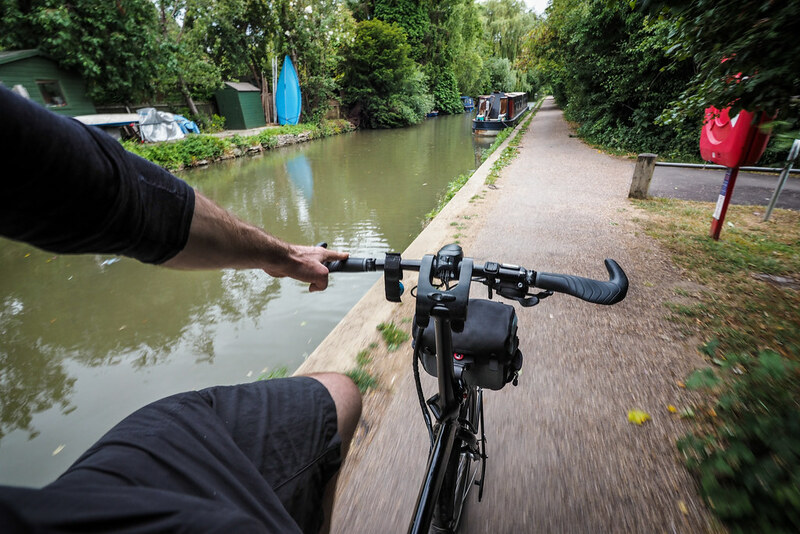 He then pointed me down a side route that cut onto the Oxford Canal path, which would take me a third of the way out to Woodstock, and keep me off the busy highway. 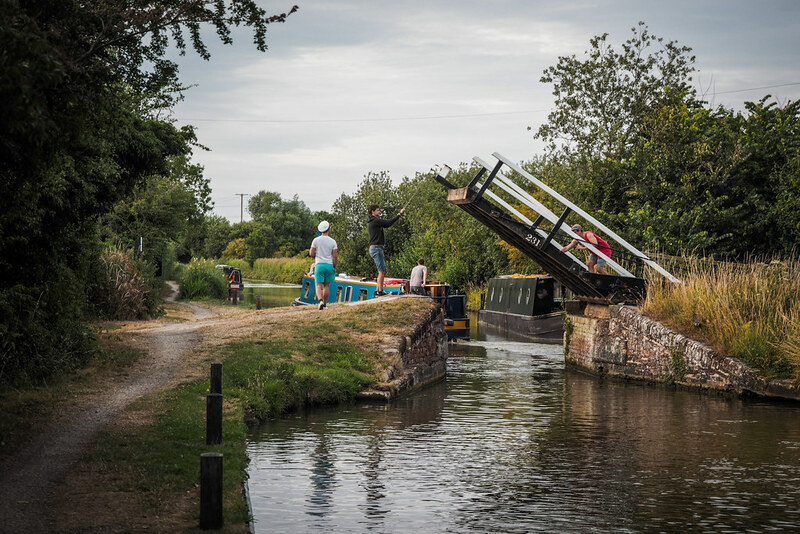 The canal was quintessential England (at least according to my own idealistic stereotype of the country). 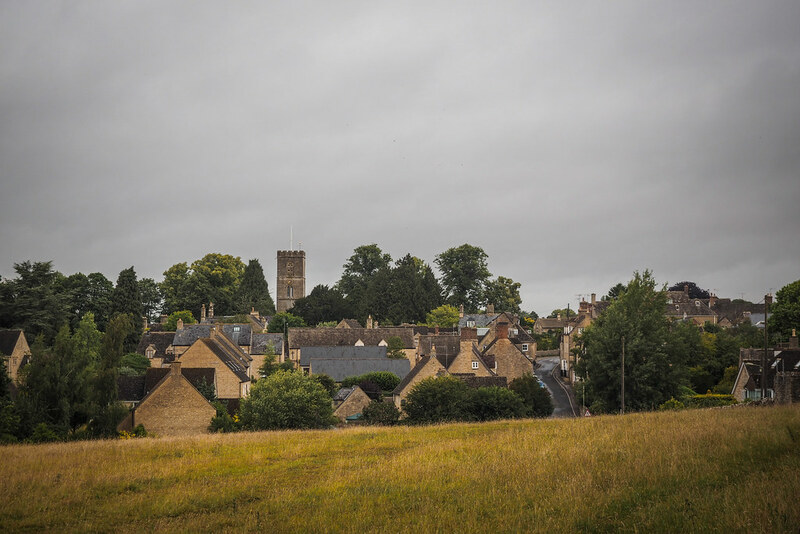 I pushed on and soon found myself navigating quiet back roads approaching the town of Charlbury. The weather was calm, and not a breath of wind was blowing. Each turn of the road felt like a scene out of the Shire in Lord of the Rings. So idyllic. I was using the excellent bare-bones Open Street Maps application on my Andriod smartphone (called Offline Maps) to navigate. With a map of the area already downloaded onto my phone, all I needed was to check the map in conjunction with the GPS feature on the phone, to get an idea of where I was heading. During one of these checks, when it was starting to get dark around 9pm, I spied a nice-looking wooded area indicated on the map, called Topples Wood. The map also indicated a bridle path (open-to-the-public access-way) cutting through the woods. I decided this would be a likely spot to sleep for the night. As the light was fading, I slipped onto the dirt road and quickly found myself surrounded by the quiet woods. 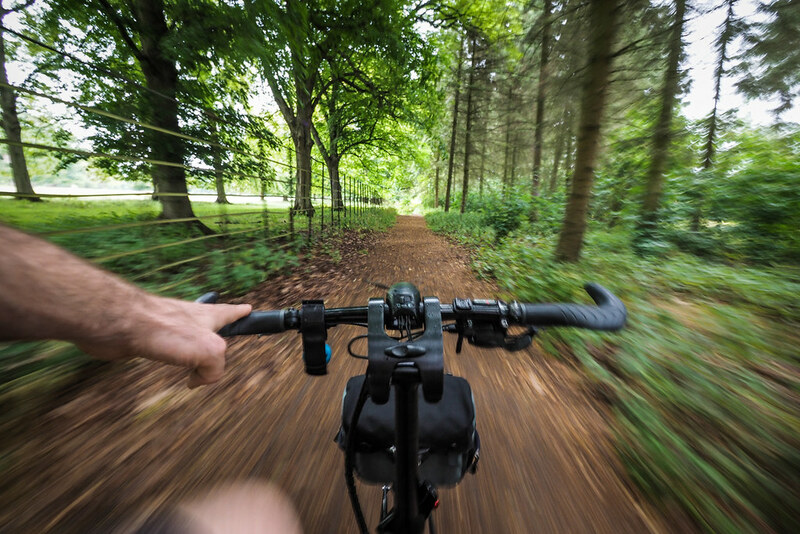 Once I was deep into the woods, I stopped and pushed my bike further off the path. There was something about the woods that was very peaceful. 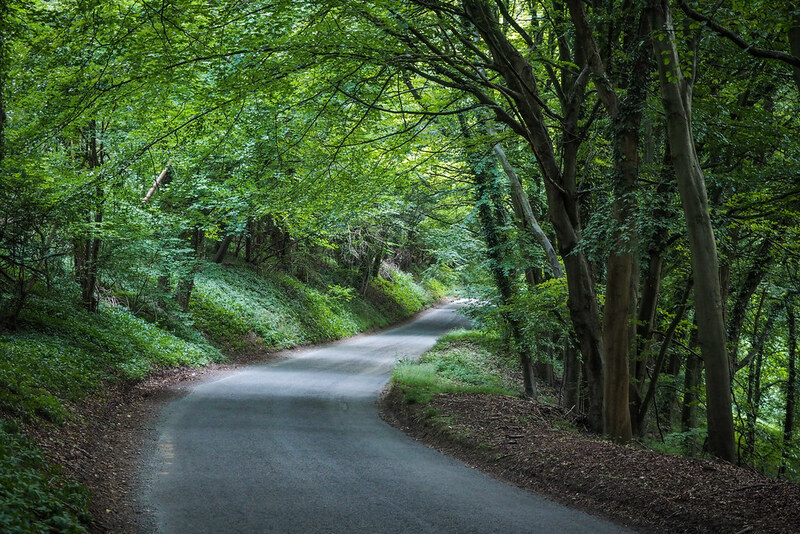 Usually at dusk in the woods one feels slightly on edge, with a hint of creepiness, but perhaps it was the peaceful undergrowth of green leaves…there was something inherently tame about the place that put my mind at ease. That was until I disturbed a large pidgeon/fowl of some sort that gave me the fright of my life when it burst into life, barging its way headlong through the foliage with wings flapping and screeching at the top of its lungs. I found a clear spot under a large tree and laid out my sleeping pad and sleeping bag. No sooner had I got myself tucked into bed than I heard (through my ear plugs, a must-have accessory for wild camping, in my opinion) the patter of rain on the foliage above. I briefly contemplated packing up and finding somewhere to shelter, but convinced myself to wait it out for 15 minutes. Sure enough, 15 minutes went by, the woods were quiet again, and I drifted off to sleep. At around 3:30am, the sound of rain on the foliage above woke me up. This time it was raining with a little more determination than earlier in the night. Before long the foliage was drenched and was starting to let drips through down below. I curled up into the fetal position, covered my sleeping bag with my rain jacket, and hoped for the best. The rain shower lasted an hour before letting up. It left in its wake a peaceful morning, with birds chirping. Amazingly my sleeping bag was still mostly dry. 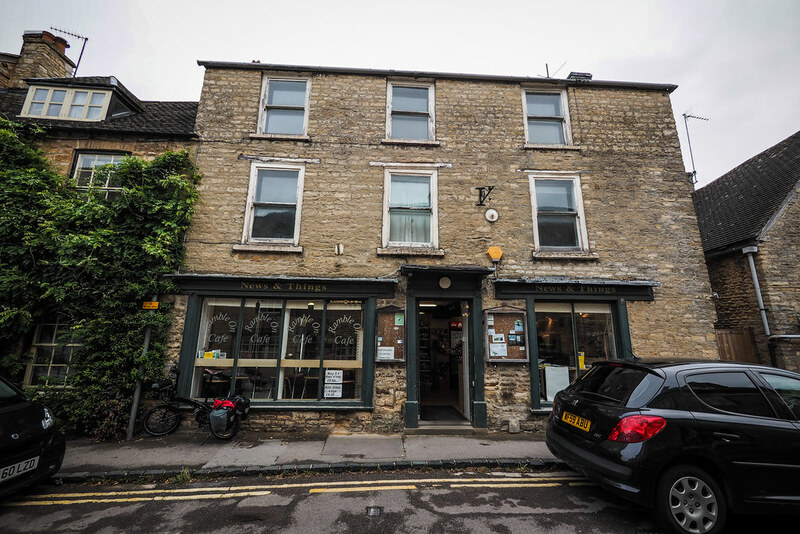 Before giving me a glimpse of sleepy little Charlbury tucked away on a hill. To my eye all the towns so far were simply immaculate. Each place was like cycling into a live museum. One thing that I noticed very early on in today’s bike ride was the relatively short distances between towns. At the very most it would be 6 miles (10km). The between-town distances were covered via quiet lanes with little more than a few cars per hour. And yes, Kingham was beautiful. 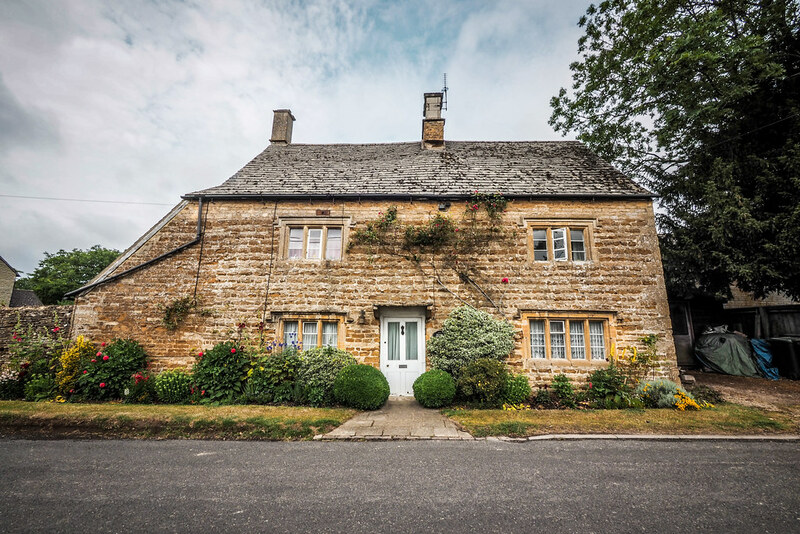 Devastatingly beautiful little cottages abounded. It was in Milton-under-Wychwood that I stopped for a break in the town park. I grabbed a £2 packet of cut fruit (300g) from the Cooperative supermarket next door and sat down on a bench. One can only sit in awe at the English perfecting standards when it comes to large lawn areas. As I was admiring the perfectly cut grass, a black Labrador came galloping up to me and dropped a slimy tennis ball onto the bench I was sitting on. He looked at me with innocent expectation, so I obliged and hurled the ball as hard as I could onto the green. Moments later he had dropped the ball on my bench again. “You’re done for now,” a voice said from behind me. The owner of said dog had made it to my bench. “For some reason he’s got into his head that a bench is some sort of ball-launcher,” she explained. This got us talking and I explained that I had already more or less completed the suggested loop of the area, and that I was looking for a detour on my way back to Oxford. “How much of a detour do you want?” she laughed. This sounded like a viable plan though, so I thanked her and set off to find some tourist throngs. 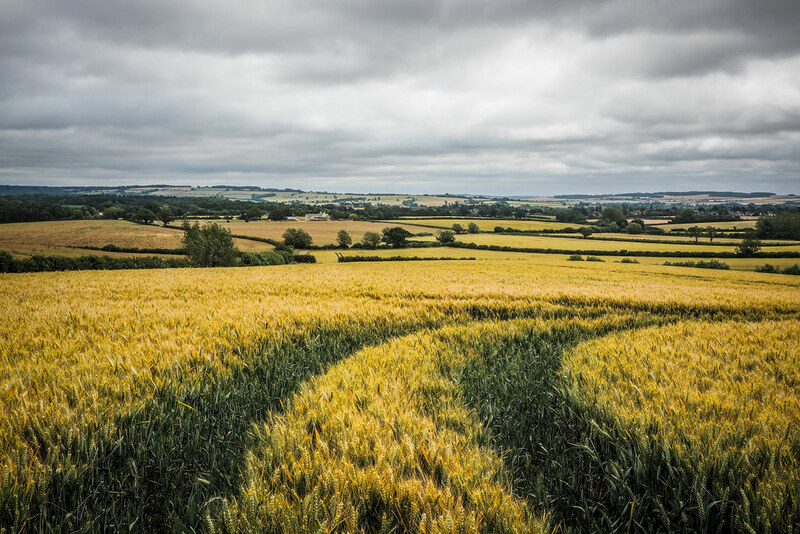 The route took me over rolling countryside, fields all laden with wheat, or grazed with sheep. 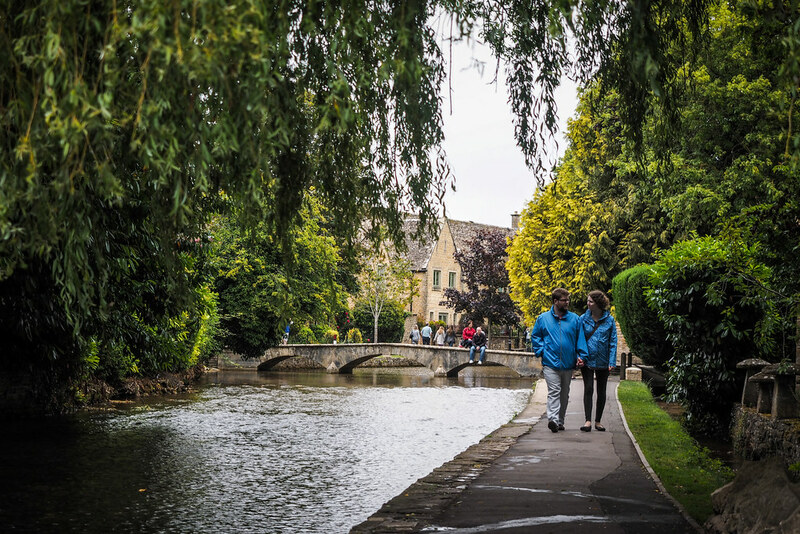 And “Venice of the Cotswolds” was pleasant, despite the throngs of tourists. I had lunch in Bourton on the Water. I ordered a steak and kidney pie, and what I got was essentially meat stew sandwiched between two whisps of pastry, served with a genrous helping of veges and chips on the side. It was a good hearty meal that required a solid 45 minutes to get through at a leisurely pace. Lunch devoured, I pushed on back towards Oxford. While I was eating lunch a heavy rain shower had passed through, and now on my bike, I was subjected to another few decent dousings. 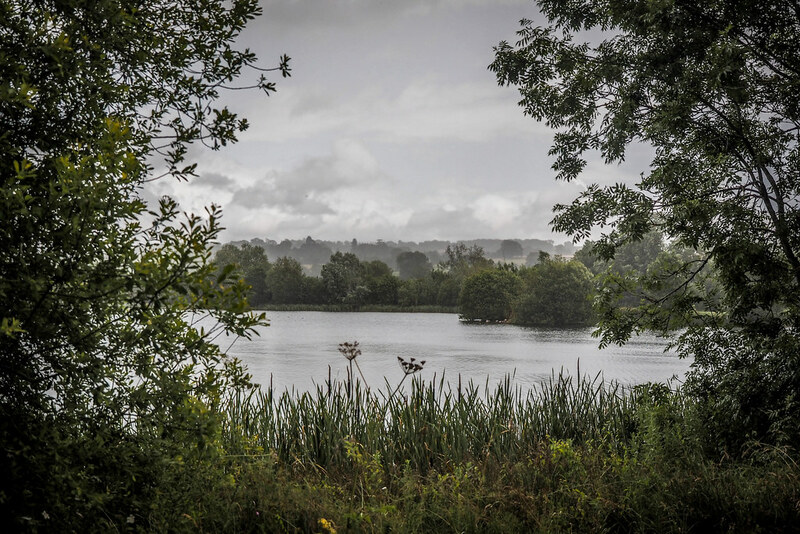 But even when it is raining this countryside has a homely feel to it. The rain showers didn’t last long, and I was soon cycling in brilliant sunshine that lit up more of the inconceivably picturesque little villages. The way back to Oxford consisted of around 10 miles on the cycleway along the A44 motorway. It was a terrible route, with noisy traffic and an uneven surface. But it got me back to the Oxford Canal, where I was once again able to transport myself right into the heart of the city. I was tired from a long day on the saddle, but happy that I had taken the time out to get some exercise away from a busy course schedule and see some local sights. Looks lovely Rob! I’m sure your wee cycle adventure was much more your style than a trip into London. Yay, for the folding bike. Great to see the photos and read your story. Lovely write up. I’ve never been to the UK, but it looks and sounds like a relaxing area to tour. What a great place to ride. Love how easy it is to pop a folder in a bag and check it onto the plane and the fun you have when you get to your destination. Impressed with your wild camping. Look forward to the next trip write-up. 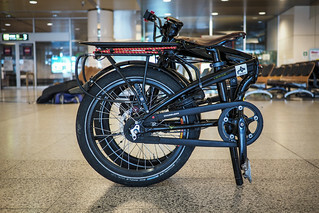 Flying with a bike is not without its challenges though…I just arrived in Japan from Heathrow without a bike! Lufthansa forgot to put it on the plane. I guess these things happen though, and just as well I wasn’t flying to Japan for a cycling holiday 🙂 I’ll just have to be without my bike for a few days of commuting. Great account of your Tern adventure Rob, bravo! 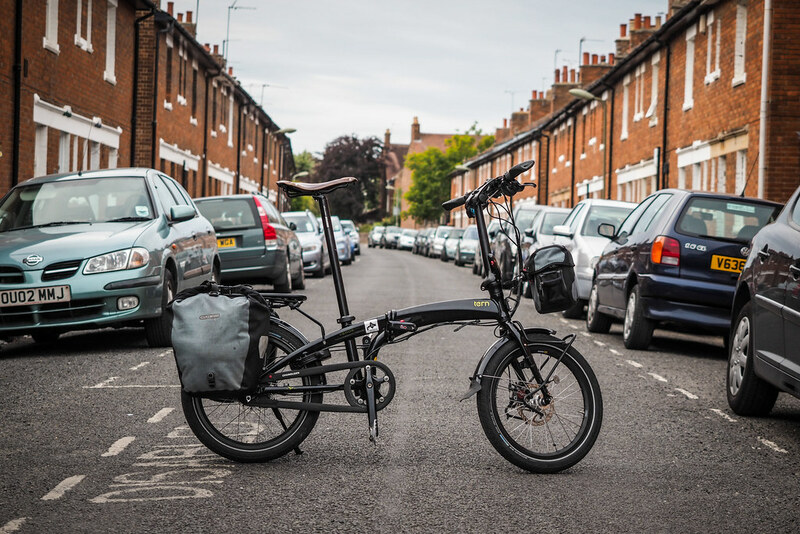 I just bought a Tern Link C7 2015 and looking forward to using it for City Photography outings. 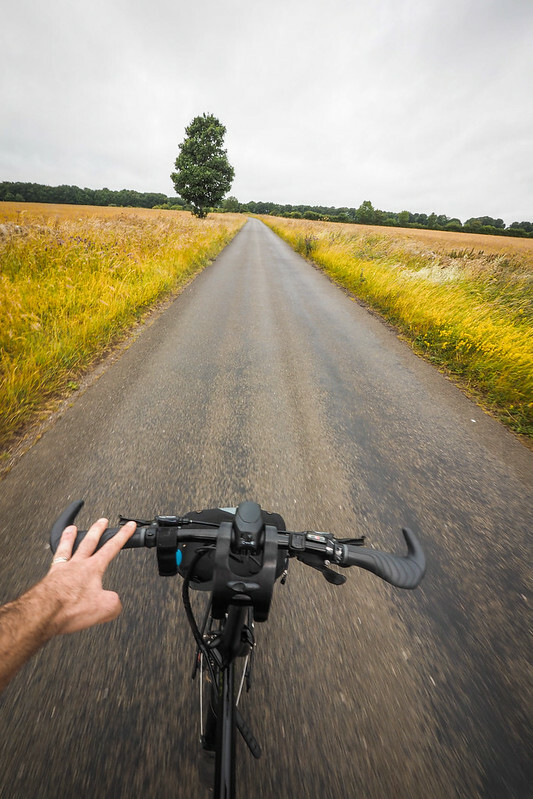 Was your Cotswold cycle route hilly or mostly flat? I’m not brilliant on demanding hilly stretches…but it looked fun! Nice! The Cotswold route was definitely not flat. It was pretty much either up or down the whole way, over rolling hills. I can’t remember any hills being horribly steep though, and they were never longer than 20 minutes of uphill.